Joyce came up with some more great questions for this week. I can't believe March is already (almost) over! 1? You only want 1 thing? I'll go with this: There is a bridge in the small town that everybody paints. 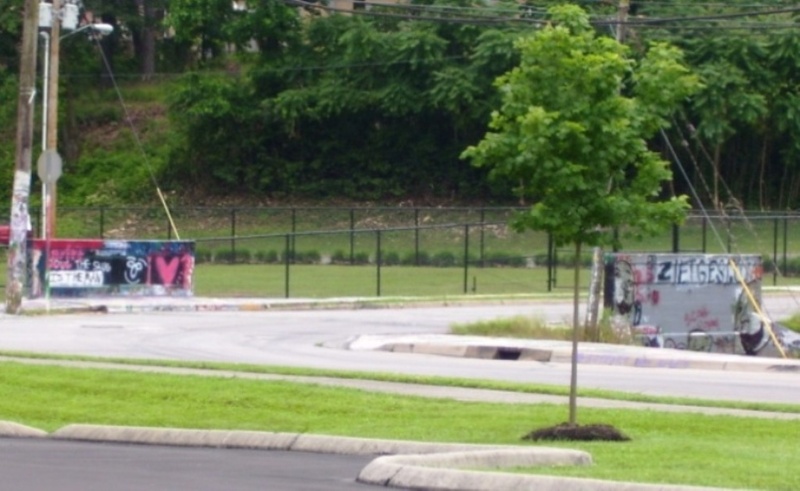 During our rivalry week when I was a Junior in high school, I went to paint the bridge after band practice. I used my car key to attempt to open the spraypaint can and it broke off. Here's the thing: I wasn't suppose to be at the bridge; I was suppose to go straight home after practice. What did I tell my daddy? I told him it broke off when I was trying to unlock the car door. He didn't question it, but I have a feeling there's no way he believed me. My daddy is a pretty smart man. I like chicken just about every way. I don't know that I have a favorite. The Holocaust Museum in DC. Mindblowing. I think that's the best one I've been to. Although, the Museum of Natural History in NYC was pretty awesome, too. There are a couple of museums in the big town next to us that are free that I need to explore. Shower. When we lived in SC I would take bath every now and then, just to soak. I've never even taken a bath in our current house. Maybe after we get the tub refinished. I think it depends. If it's true love and not just an infatuation, I think it does. When CH was at Army Schools, it definitely made the heart grow fonder. However, there have been a couple of guys that I dated that would make me think it's fiction. All this stuff going on in the Middle East causing the gas prices to sky-rocket. Ridiculous. We don't even get most of our oil from there, so why in the world are the prices so high? I couldn't believe how much it cost me to fill up my tank the other day. Craziness...just pure craziness. I just happened to look up and see it. I don't know if it's really called a rainbow or something else, but it was pretty cool. To see how everybody else answered or to join in and link up, go visit Joyce. The Holocaust Museum is an amazing exhibit...disturbing and moving all at the same time. There is a Holocaust Museum in Miami Beach that DH & I contemplated visiting when we were in Miami Beach last week. I was afraid that it would be too upsetting, so we passed. I wish now that we had gone anyway. I would like to see the Holocaust Museum. When I was a history major--way back when--World War II and the Holocaust were my major interest. That is an awesome picture of the sun dog I think. Sure wish I'd thought of the Holocaust Museum. I would absolutely love to visit it. My hero, and the person I want to meet in heaven, is Corrie ten Boom. I've read The Hiding Place more times than I can count. I cannot imagine how moving that museum must be. #1 made me laugh. I'm sure there were times I told my parents things that I thought they believed but they really knew the truth. Must try Banana Pudding Rolls. Sounds like a good substitute for my beloved banana cream pie! Yeah...gas prices have REALLY affected my life in CA...$4.25 a gallon...sheesh. I also choose those oatmeal cookies becuase they are "healthier"...tee hee. Banana pudding is one of my favorite desserts--I did NOT need to know about those cake rolls! Have not seen Banana pudding rolls here yet. I love swiss rolls too. We shared a lot of commonalities this week. I love the picture--that is totally awesome! I love `Little Debbie Cakes`. It's been a while since I've had them. I wonder what the `Banana Pudding Rolls` taste like. How great to live in the state of "Little Debbie Cakes"! I haven't seen the banana pudding ones yet! My foolish moment involved painting, too. I agree with you about oil...what in the world is up with that??? I must, must see the Holocaust Museum! Thanks for the recommendation. I said the Holoccaust Museum. I want to go to the one in DC however we do have one here in Los Angeles that I haven't been to yet. Little Debbies, how cool is that! I DO miss my Saturn...such a nice first 'new' car'!